Alabama is a great state for an outdoor hunt. It has public hunting lands abound, as is the game for hunting. In particular, whitetail deer are plentiful in Alabama and have a long season for you to work your magic. For many years, the whitetail deer population was out of control, and hunting within the limits of the law helps to keep the population under control. In addition, dove, duck, quail, turkey, squirrel, rabbit, raccoon, opossum, fox and even alligator can be hunted in Alabama. The Division of Wildlife and Freshwater Fisheries of the Alabama Department of Conservation and Natural Resources maintain and manage 626,500 acres of Alabama public hunting land. These areas are financed with funds derived from hunting licenses and federal excise tax on firearms and ammunition. Some area is restricted to bow hunting, so it is important to understand the regulations and restrictions of any public hunting land you use. A license, management area permit, and management area license are needed when on a hunt in any Alabama hunting land. Alabama, public hunting lands, are located throughout the state, with different fields being designated for hunting different species. Besides, each species has its hunting season, and Alabama offers some of the longest seasons of any state in the country. 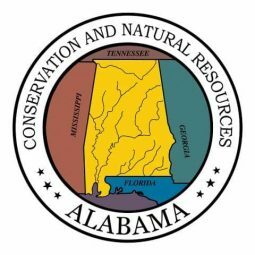 To maintain appropriate population levels of each species, there is a broad range of restrictions imposed when hunting on Alabama public hunting lands. In addition to the bow hunting restrictions mentioned above, there are bag limits on bucks when Alabama deer hunting and some hunts, such as alligator hunts, are permitted only as controlled hunts. In order to take part in alligator hunting in Alabama, you must apply for a permit. Only a certain number of permits of granted, and they are granted through a lottery system. To attract young and exceptional hunters, there are some special advantages given for female hunters and those under the age of 17. If you’re hunting with a woman or a youngster, be sure to understand the special privileges afforded these hunters by the state each season. However, before you take a young or inexperienced hunter on a hunting trip, be sure that they’ve completed a hunters safety course to help make sure everyone’s safety. Alabama public hunting lands are some of the most plentiful and best managed in the United States. There’s no doubt that you’ll enjoy your time spent hunting these areas and that your trip will be successful. Just be sure that you thoroughly understand the regulations of any area you wish to hunt and follow each restriction carefully.